An Sapphire without inclusion is often viewed with suspicion, Maybe it's synthetic stone or glass imitation. The best Clarity value for sapphires is "clean eyes," which means there are no inclusions visible to the naked eye. When evaluating clarity, experts consider size, number, location, and overall visibility of inclusions. Adjustment is a natural consequence of crystal growth. 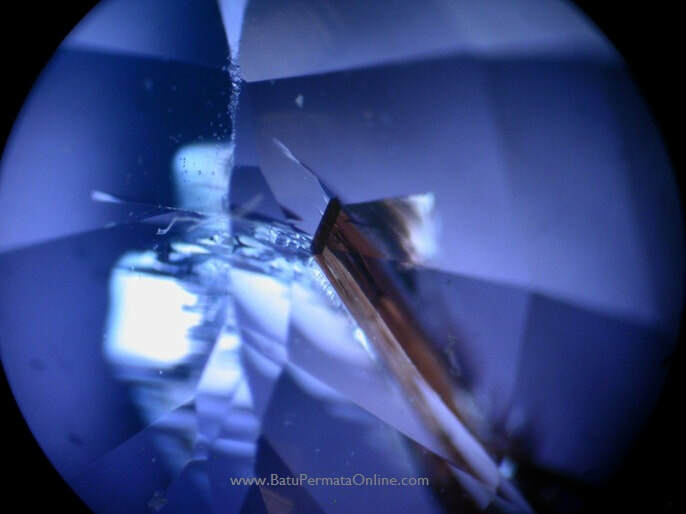 Sapphire inclusions vary with source or origin and Treatment history. Holes or holes that stretch from the surface of the gemstone to the interior. Color Zoning - an alternating color area or ribbon in a gemstone. Basin / Naturals - natural curves on the surface of gemstones made during crystal formation. This sign of growth is usually found in the corset and does not affect the beauty or luster of the gemstone. Fur - a small inclusion that has a thin appearance of fur. Fingerprint Inclusion - a network of small fluid tubes that resemble human fingerprints. Fingerprint inclusions form when the sapphire is crystallized to heal part of the fracture zone. Crack - An oval or circular crack surrounding a solid or liquid inclusion. This is formed from stress due to radioactive decay of small zircon crystals or from the high temperatures required for heat treatment. Including crystals - minerals that are light, dark, transparent or opaque trapped inside a gemstone. In sapphires, you can often find crystal hematite, zircon, spinel, calcite, and mica, for example. Liquid Inclusion - fluid filled space in a gemstone. Sutra - fine rutile needles that create drowsy transparency from some sapphires. Silk is also responsible for asterism in star sapphires. Not all sapphires contain silk. Silk is an example of inclusion which can actually add value to sapphire. In moderate amounts, highly reflective rutile needles scatter light into the cut sapphire, helping to illuminate the darker sides of the stone and increase its brightness. In addition to the color and clarity (Clarity) of Sapphire, cutting or Cutting on Sapphire can also affect the price value.